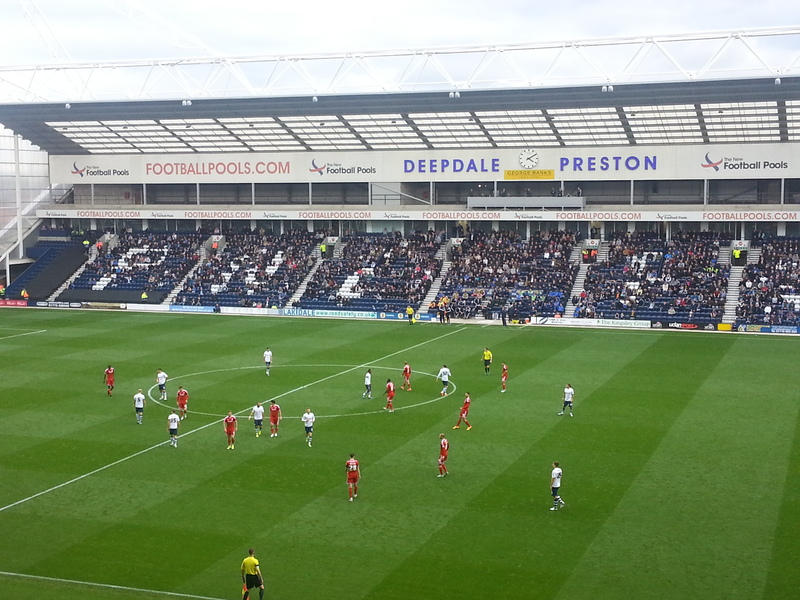 This past Saturday, my colleague at the University of Central Lancashire took me to see Preston North End (PNE) football club play Cardiff City at Deepdale Stadium. I will admit, it was a bit of a thrill for me to go to the game, as PNE is one of the oldest football clubs in the world (having been established in 1880) playing in a stadium that has hosted matched since the late nineteenth century (though, of course, has been renovated many times since). The match itself, an nil-nil draw, was entertaining enough, but the experience as a whole made me think a bit about the sensory aspects of sport heritage. Of course, the physical structure itself and the visual as a whole is normally where sport heritage is focused. Certainly, at a place like a football ground, the aural is important – chants and cheers and discussions amongst fans, etc. – was a big part of the “heritage experience.” Taste and smell can be a big part of the experience – foods eaten and prepared at the ground, the smell of cigarettes, etc. Many of my strongest memories of going to sporting events as a child were the concourse areas during the intermission, in particular the rather unpleasant odour of cooked onions from hotdog stands mixed with plumes of cigarette smoke. However, I will admit, these senses didn’t play a central role in my Deepdale experience. The one thing that struck me – and created for me a deeply nostalgic moment – was touch and feel. Kickoff was at three o’clock on a Saturday afternoon – as traditional a football time as is possible. I have recently written about the role of time in sport heritage though, in this case, it was less about the pace of play and more about the context of the time. Indeed, knowing a (very) little bit about English football, I knew that – until a few years ago – virtually every game was at three o’clock on Saturday, though now a days games are at various times of day, and even on days other than Saturday. In many ways, then, the context of the match was an important part of the experience and, because I knew how traditional the time was, it added to the authenticity. Being that it was a three o’clock kickoff on an autumn afternoon, it also meant that the weather and temperature might change over the course of the match. Indeed, at the beginning of the match, it was a sunny, and quite pleasant afternoon – almost balmy, in fact. By the second half, the clouds had moved in, the wind picked up, and I found myself rubbing my hands together and blowing on them to keep them warm. After the game, over a pint at the pub, my colleague and I discussed the heritage aspects of the game. While we both talked about the team, ground, and chants, the thing that stuck with me was the rubbing of my hands. It reminded me of going to Canadian football games in the Fall as a child, where the late afternoon gives the first hint of winter and I would have to rub my hands together and stamp my feet from time to time to keep warm. It was such a sensual kind of nostalgia – for a very brief moment, it did feel like I was a twelve year old back in Canada. My colleague noticed that he had a similar nostalgic moment, but also said that when he would go to English football matches in the fall and winter, cold and windy afternoons meant having tea or beef broth at halftime. Though we didn’t head to the concession stands during halftime at Deepdale, there’s little doubt that a warm drink on a cool autumn afternoon would have been both welcome and an authentic part of our sensory sport heritage experience. 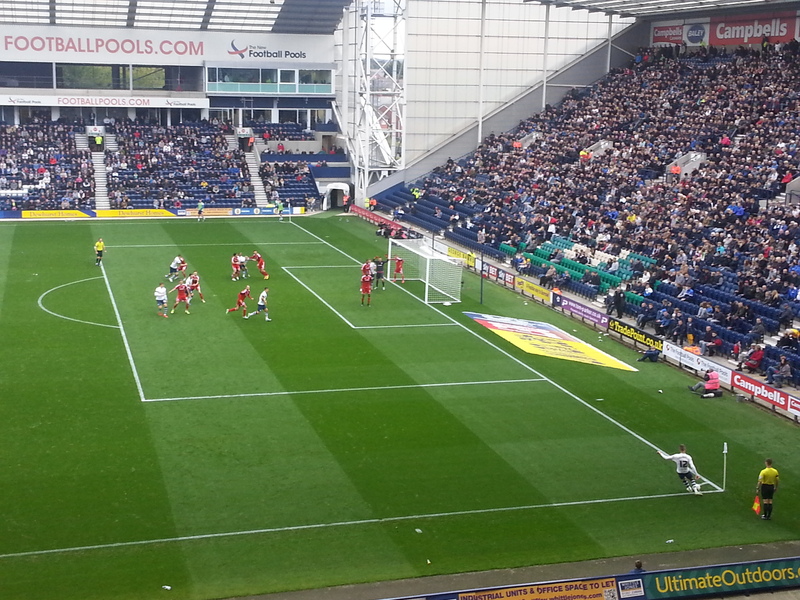 In any event, the experience at Deepdale watching PNE re-enforced that the sport heritage experience is more than visual and aural and that, in fact, the other senses are often deeply important in understanding and “feeling” sport heritage. By Gregory Ramshaw in Uncategorized on October 21, 2015 .